‘No’ is such a simple word, yet saying it aloud is somehow harder than saying yes. In a society where saying yes is encouraged to get ahead in life, ‘no’ is a term that is generally associated with negativity and refusal, and many people believe that saying it can cost us a lot in adult life. In order to counteract this, we end up saying yes…a lot. But saying yes too much can cause us to be over stressed and ultimately makes others value our time less. The more we say yes to someone, the more likely they expect us to say yes the next time they ask. So where do you draw the line? 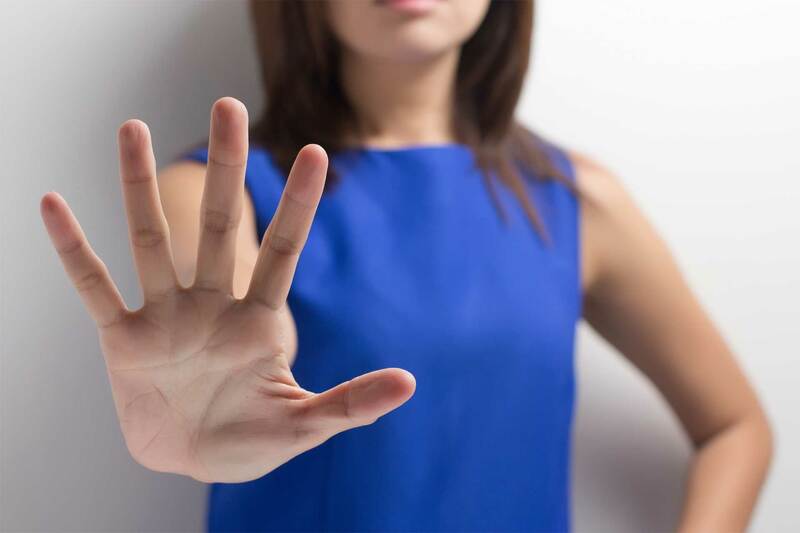 In this post, we will give our top tips on how you can set healthy boundaries as well as how saying no can benefit us, not just in the workplace, but in other areas of life too. It’s important to have a good balance between saying yes or no, so before you rush to answer, ask yourself firstly whether you have time to fit this in, what you will gain by saying yes or no, and whether this person has helped you lately, if at all. You are totally within your rights to decline a request if you have too much going on, or if you don’t believe it is your responsibility to complete a particular task. Offering someone an alternative solution and apology can help to soften the blow when saying no to something. For example, “I’m sorry, I would love to help but I’ve got two deadlines due for tomorrow”. Alternatively, if you want to do something but don’t have the time, ask for a rain check. By making a plan for the future, you are still showing good faith. Depending on the nature of your relationship with the person and the nature of the question, you may want to explain why you’re saying no. In some instances, no explanation is required, for example if someone says, ‘do you have time to fit xyz in, or shall I assign it to someone else?’ In other circumstances, you can explain that you have other commitments and why you can’t make it. If you’re honest and genuine, people will almost always understand. Often, the reason for saying yes rather than no is because we are afraid of how the other person will react. In reality, we cannot anticipate everyone’s reaction, but if you start saying no more, people are more likely to give you respect and understand your boundaries, even though they may feel disappointed or upset initially. If you don’t set boundaries and continue to say yes, this may lead to feelings of resentment and bitterness towards that person in the future. Whether you’re in a situation where you’re doing extra work to bail out a colleague, or agreeing to dog sit for a friend despite having already made plans for the night, saying no is a way you can take back what is yours and regain the respect you have for yourself. Too often, people take advantage of the kindness of others, leaving the person being taken advantage of feeling resentful for saying yes to a situation they didn’t want to be in. There are only 24 hours in a day, and although we may take this time for granted, it’s vital that we use it wisely. By saying no more, you can spend the little time you have left after a working day to do what makes you happy, whether that’s spending time with your kids, going for an evening walk or catching up with friends. Ask yourself what the person requesting a favour of you will be doing in their spare time. Harnessing the power of no is the best way to get where you want to be, faster. It is easy to assume that someone’s opinion of you may be changed if you say no to them, when in actual fact, true friends will value your time, and colleagues or managers will respect your desire to focus your attention on what’s important. Your reason for saying no doesn’t always have to be work-related. Without self-care, how can we recharge ourselves to perform at our best in the workplace? Setting aside some time each day to relax and connect with ourselves is the best way to do that. Try taking a bubble bath, reading a book, or simply cooking yourself a good meal and you’ll soon see the benefits. Once you grasp the concept of saying no, you will find you have more time for the things you love, while still maintaining good relationships at work. Give it a try and see how it benefits you. Arash Asli is at the forefront of business growth. As Co-founder and CEO of Yocale, he has a unique blend of technology, business development, corporate, and finance experience. Arash is honored to have been named the Business in Vancouver’s Top Forty under 40 business executive.